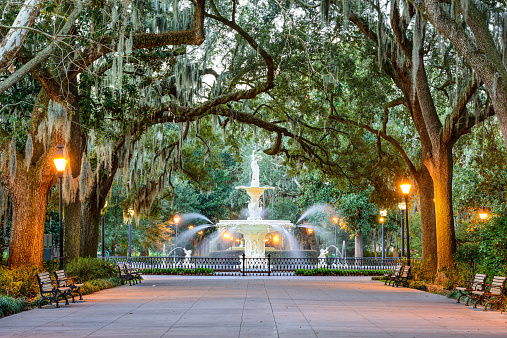 Trees can have a significant cultural value in some communities, such as Savannah, GA. Whether trees are just something that reduces your heating and cooling bills or one of the centerpieces of your landscaping, the value that trees hold can vary wildly from person to person and culture to culture. Throughout the world, some types of trees hold immense cultural value and serve as sacred objects and cultural touchstones. Why do some trees have such a high cultural value? Some types of trees are used as markers in villages, so they carry a great amount of cultural value. If you didn’t have street signs or other locators in your town, how else would you know where to go? Whether or not we realize it, we still use trees and landscaping features as landmarks in America. In some cultures, village elders use trees as meeting places, courtrooms, political arenas, and more. Trees are natural focal points and gathering places throughout the world. One of the most universally-regarded things with cultural value is food (and whatever is the provider of it). As a result, fruit trees are often highly regarded in many cultures. The bush mango tree, for example, produces a nut used to thicken a dish called Pepe soup in West Africa. As a result, the tree has a high amount of cultural value and is very important to those living there. Some trees are regarded highly thanks to what can be produced from them. In another portion of West Africa, Cola trees are used as a symbol of friendship and hospitality. Their meetings, prayers, and ceremonies are all started with the ceremonial breaking of a cola nut. This entry was posted on Friday, June 2nd, 2017 at 2:06 pm. Both comments and pings are currently closed.